Bake pie crust as directed on package. Set aside to cool while you make filling. In a large bowl whisk together 1/2 cup milk, sugar, cocoa powder, cornstarch, salt and egg. Bring the remaining 1 1/2 cup of milk to a simmer in a large saucepan over medium-high heat without letting it boil. Remove from heat, add bowl mixture to saucepan and whisk to combine. Return saucepan to heat, simmer and add chocolate chips. Stir until chocolate melts and mixture is thick, for about 3 minutes. Remove from heat, stir in vanilla and pour into prepared crust. Place in fridge and chill for 4 hours. Top with whipped cream and serve cold. Shave or drizzle chocolate over pie for a pretty presentation. 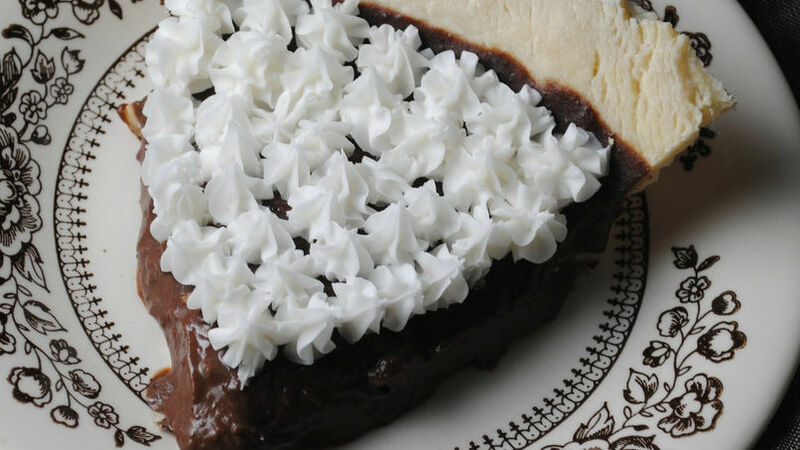 Rich and creamy, this chocolate cream pie is perfect for the holidays. Chill until ready to serve and make sure to serve with extra whipped cream and powdered sugar. Yum!